What better opportunity than Earth Day to point out another way that photonics plays a role in improving the planet? Awareness of the importance of taking care of the earth is becoming more widespread, and most importantly, not just in the affluent countries of the world. In fact, the developing nations are where some of the most innovative efforts are taking place. We've highlighted micro-solar projects in Africa and elsewhere, and the previous post about the LEDs being used to protect livestock from lions shows another brilliant but simple use of photonics. Sometimes innovative technologies come from the wildest places. Such was the case for Richard Turere, a teen-age Maasai boy from Kitengela, Kenya, who only wanted to protect his family's herd of cattle, goats and sheep from the lions who roamed the savannah near the border of the Nairobi National Park. At the age of nine, Turere was given the responsibility of looking after the family cattle. After two years of losing too many of the livestock to lions while the family was sleeping, and with little access to technical information, he found a photonics-based method to keep the predators at bay. Turere explained at a recent TED conference how he had noticed that the lions were unafraid of the fires he built to keep them away. They learned to skirt around them and remain in the shadows, still able to hunt vulnerable animals. In order for research to become useful, researchers and developers from academia, industry and government have to share their needs and ideas. Everyone in the field knows that. Most people would agree that much of the value and action-steps come from hallway conversations among presenters and attendees. And nearly everyone in the field has a great deal of apprehension about the serious threat to global technology leadership and economic viability wrought by current U.S. restrictions on travel by government employees. 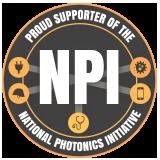 In the photonics sector, this includes the scientists and engineers at NASA, NIST, NIH, DOD, DOE, NSF, NOAA, and several other agencies. Scientist and U.S. Congressman Rush Holt of New Jersey, formerly the assistant director of the Princeton Plasma Physics Lab (and the man who beat “Watson,” IBM’s computer system in a simulated round of “Jeopardy” in 2011) told the House Committee on Oversight and Government Reform in February how he views scientific conferences. Photonics for a healthier brain! Brain mapping -- using light to observe and track neuron activity in the brain -- holds much promise for treating some of the most troubling conditions. Among its goals are treatment of stroke, epilepsy, Alzheimer's disease, and even depression. The field is claiming the attention of R&D funders as well. A White House announcement last week of a potential$100 million funding pot for brain research, as part of the presidential budget proposal for fiscal year 2014, made waves that echoed the response to an announcement last month of a far-reaching brain research program in Europe.